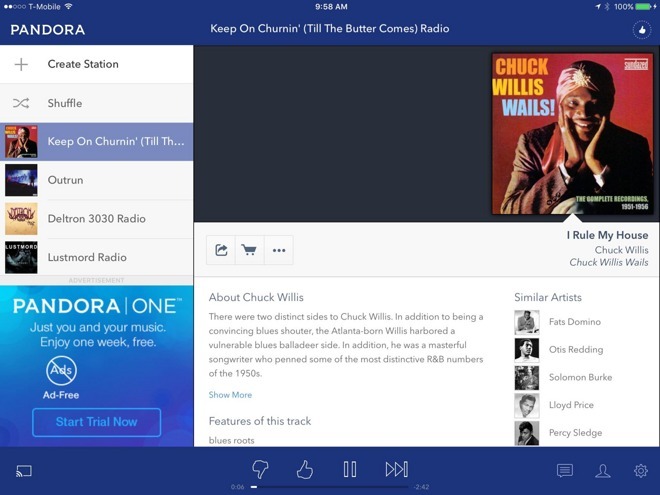 Pandora has reached a $90 million settlement with record labels over royalties from pre-1972 recordings, which were under contention because they don't fall under U.S. federal copyright protections. Several members of the Recording Industry Association of America —Capitol Records, Sony, Universal Music Group, Warner Music Group, and ABKCO Music —had charged instead that Pandora was violating New York state law by publicly performing the recordings, according to Billboard. As precedent for their lawsuit the record labels relied on 2014 rulings in California and New York, which said that pre-1972 works could be protected at the state level. The exact terms of the settlement are confidential, but a Sony source told Billboard that the label intends to share proceeds with artists in a way similar to SoundExchange, which often handles industry royalties. A Warner spokesperson said the company would use SoundExchange directly, and a separate source claimed the same about Universal. While fighting the lawsuit, Pandora asked to see artist contracts, arguing that if it were unfair to play recordings without paying every artist, there would be a provision for performance royalties in every recording contract. Label lawyers countered that the only important issue was payment to artists, and noted that ABKCO makes sure all of its artists are paid for digital streaming regardless of individual contracts. Similar lawsuits are being leveled at terrestial broadcasters such as CBS Radio, iHeartMedia, and Cumulus. Sirius XM reached a $210 million settlement with the RIAA in June. In January, Zenbu Magazines filed lawsuits against companies like Apple, Google, Rdio, and Sony over the same matter. In Apple's case action was directed against Beats Music, which is in the process of merging into Apple Music.